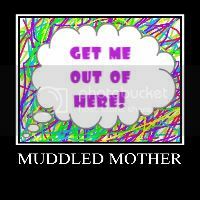 A Muddled Mother: My Dear Hindsight--Go AWAY! I am struggling dear readers. I am struggling. I have decisions to make. Hard ones. Life changing ones. The decisions I need to make are similar decisions to ones I had to make when my sons were little. And that damn Hindsight is dogging me. Being older and so-called wiser, having a friend named Hindsight, can just add pain to things that are already feeling excruciating. Sometimes, Hindsight is annoying, heart wrenching, maddening, especially when the decision is hard enough without his two cents butting in. Lately, I just want to shut him up. I want to make my decisions without the wisdom that Hindsight brings. I want to be dumb, ignorant, and selfish and do the things that I want without any other voice entering the conversation. Heck, even IF I was without Hindsight, I am not even sure of which way to go with the decisions that I have to make. But WITH Hindsight chiming in day and night, night and day, I am just absolutely positively drowning in a thick miserable muck of indecision.